Arriving and Dériving in Birmingham – by Tina Richardson. 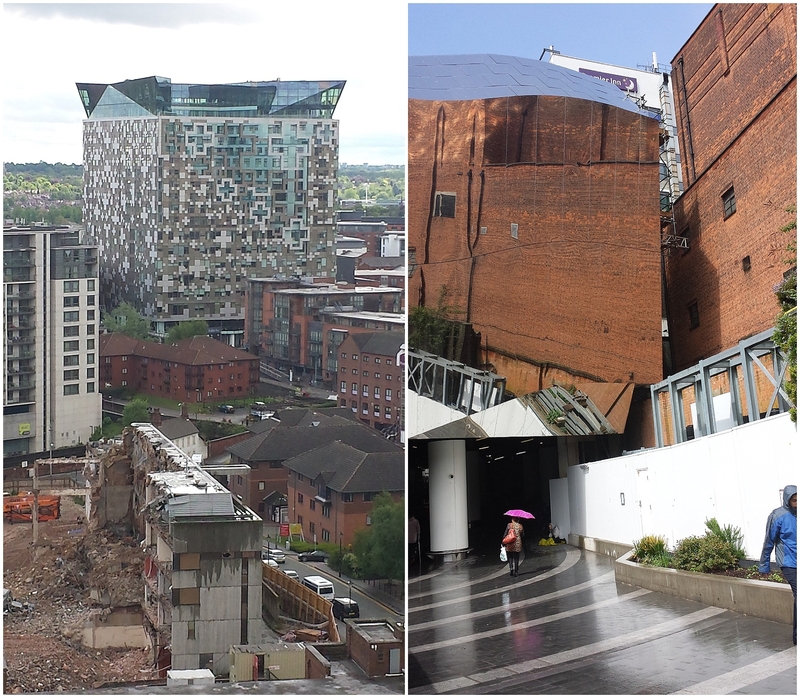 These three photographs, taken during a psychogeography expedition in Birmingham, show three aspects of the every-changing landscape of this British city. We have the modern development at the recently regenerated train station, which also reflects the older redbrick building to its left. You can also witness the ‘new’ in the modern building in the background of the photograph taken from the top of the library, juxtaposed against the ‘old’, which is in the process of being demolished. The final photo shows the lesser seen part of Birmingham, its underbelly of canals and walkways. Tina Richardson is an academic at the University of Leeds in the UK. From a cultural theory background, she completed her PhD in urban cultural studies. Richardson has published in journals such as Spaces and Flows, and Space and Culture, and has an upcoming book chapter in the Routledge Companion to Urban Media and Communication. She is best known for her authored/edited volume: Waking Inside Out: Contemporary British Psychogeography (Rowman and Littlefield International 2015).